I have a fun post for you today!!! 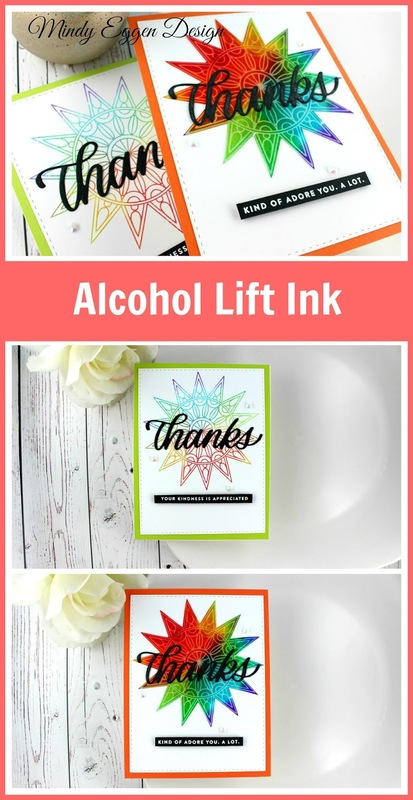 My post and video today is showing how I created a couple cards using the new Alcohol Lift Ink by Ranger. Ok first let me just say … this stuff is awesome!! I couldn’t wait to play! This is me experimenting and having tons of fun! To start off you are going to need to create some backgrounds using alcohol inks. I personally, use the Tim Holtz Alcohol Inks by Ranger with Yupo paper. I also decided it was time to invest in some plastic gloves to protect my hands from the alcohol ink. It’s not dangerous but it does take a while to wear off if you get it on your hands lol. The plastic gloves I picked up right at Walmart for super cheap and I have tons now on hand. I tried creating some rainbow backgrounds for my cards. I’ll have all the colors listed down below in the supplies section. This time, I used Blending Solution and my Craftwell Ebrush to move the inks around. 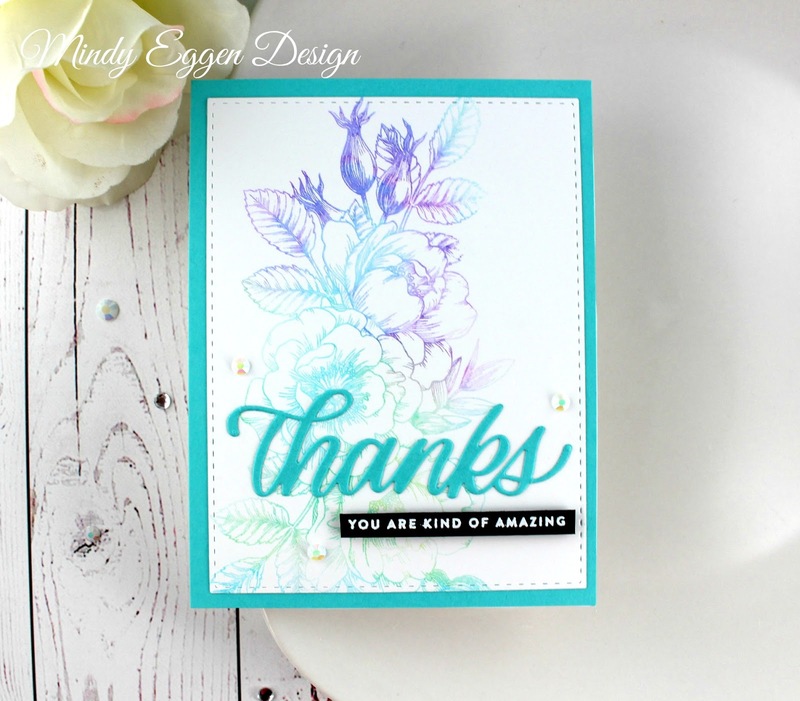 Once I made a few backgrounds, I let them dry and then brought out my Beautiful Flowers and Center Cut Burst stamp sets. 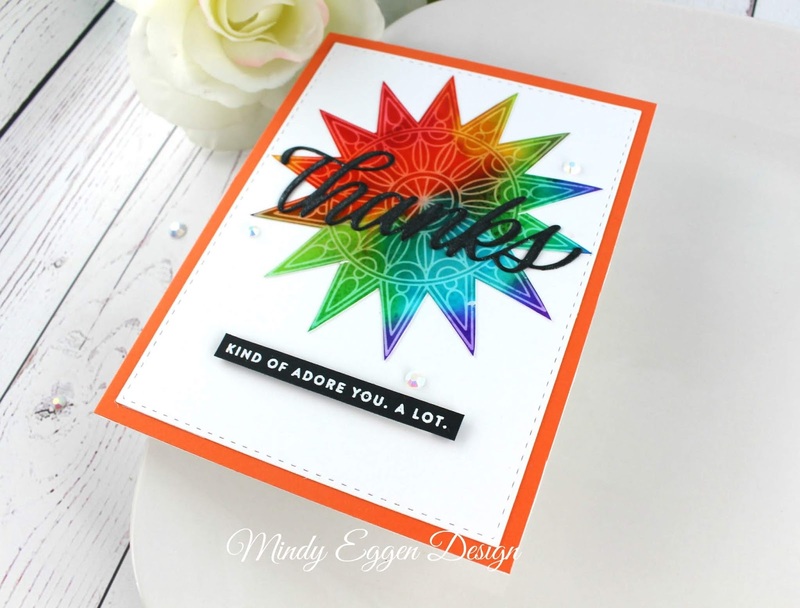 The Center Cut Burst stamp set is my favorite. I’m not sure if it’s because it’s a rubber stamp that it worked so much better but these really came out awesome. 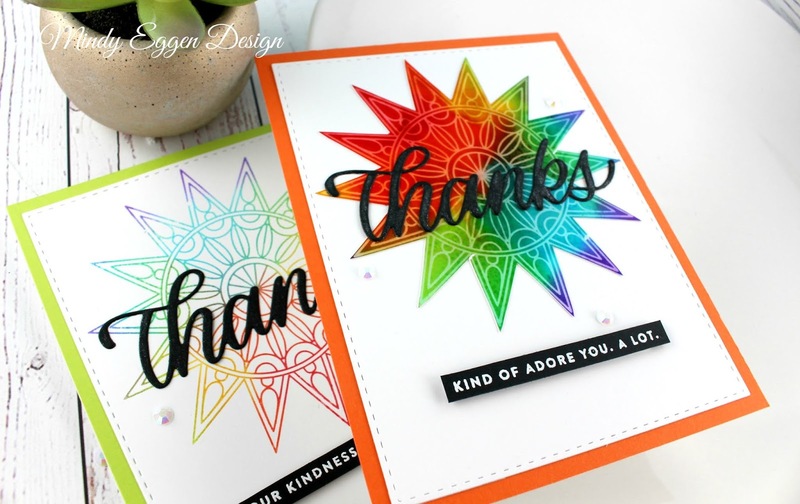 Using a Misti tool, I removed my foam insert, added one of my backgrounds and lined up just the center of the Center Cut Burst stamp set. I inked up the stamp with the Alcohol Lift Ink and stamped. This does exactly what the label says – it LIFTS the alcohol ink OFF of the paper where it was stamped. Before doing anything else, I’ll move the alcohol background from the Misti, add a piece of Neenah White cardstock, and stamp my image again. This transfers that ink onto the paper and as shown in the pictures above you have this gorgeous image! 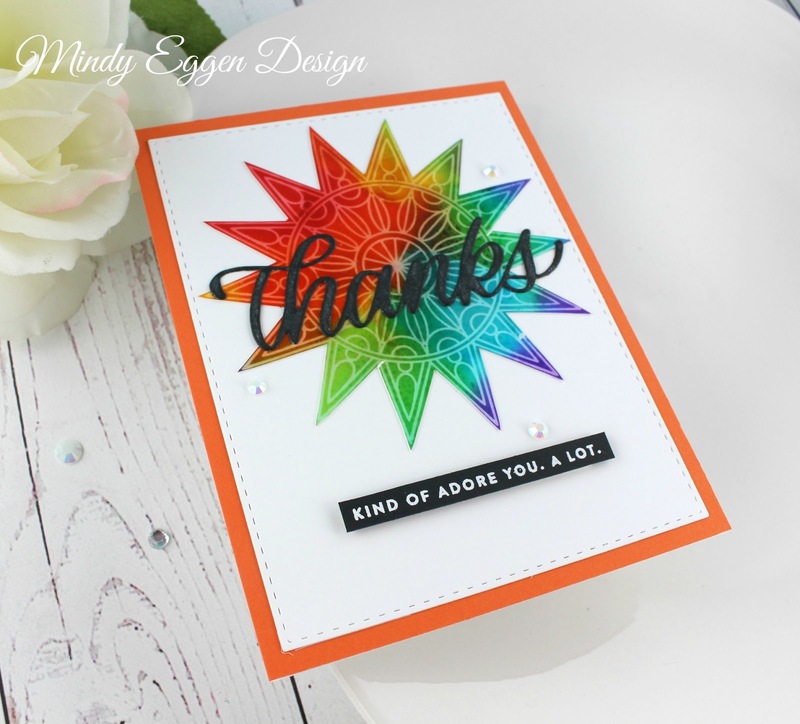 I had finished off the card shown above by adding it to a cardbase I created using the Key Lime cardstock from Gina K Designs. For the alcohol background, you’ll dab up the area where you stamped then gently rub over it. This removes any of the Lift Ink that was left and really makes it pop off the paper! Check out this card below! 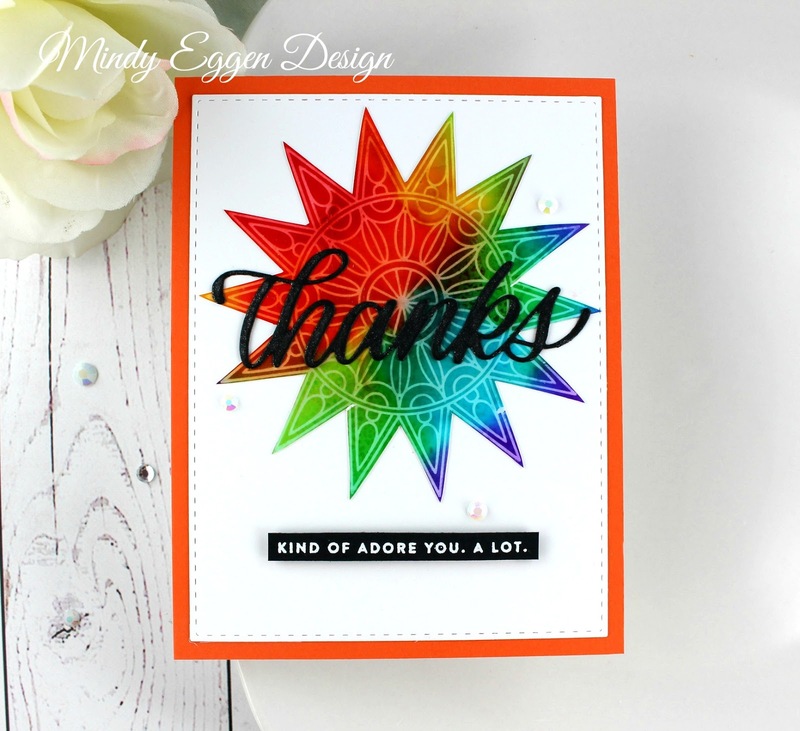 I trimmed the center burst from the alcohol background and used it on my card. I added my white panel that I cut from the Stitched Rectangle die to some Tangerine Twist cardstock. I’m so love! 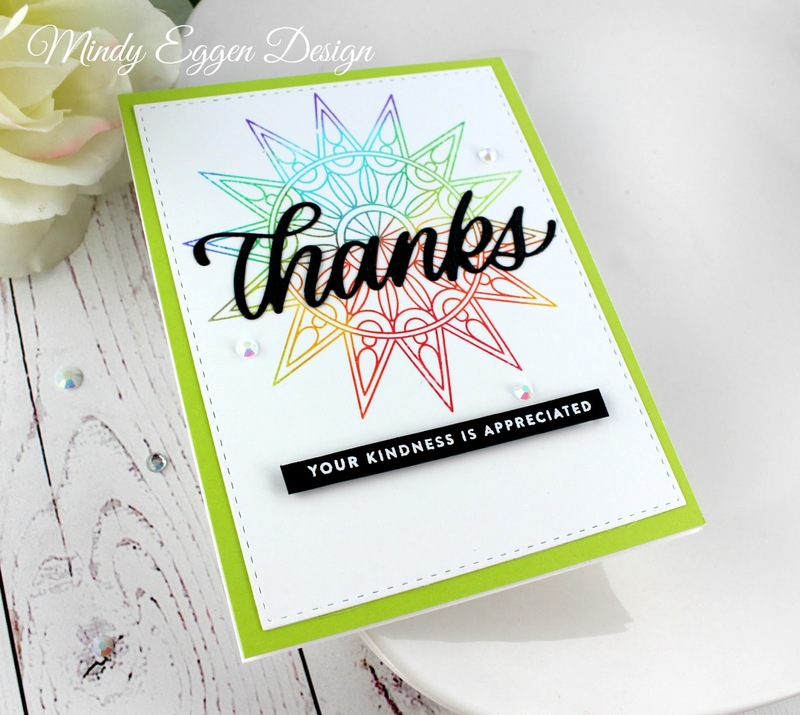 In all of my card examples I used the Thanks die cut from Black cardstock and a sentiment from Kind Flowers that I heat embossed with white embossing powder onto Black cardstock. I added finishing touches by using foam tape behind the sentiment strips and a few jewels around the card. I wanted to show you this one even though only part of it worked out. 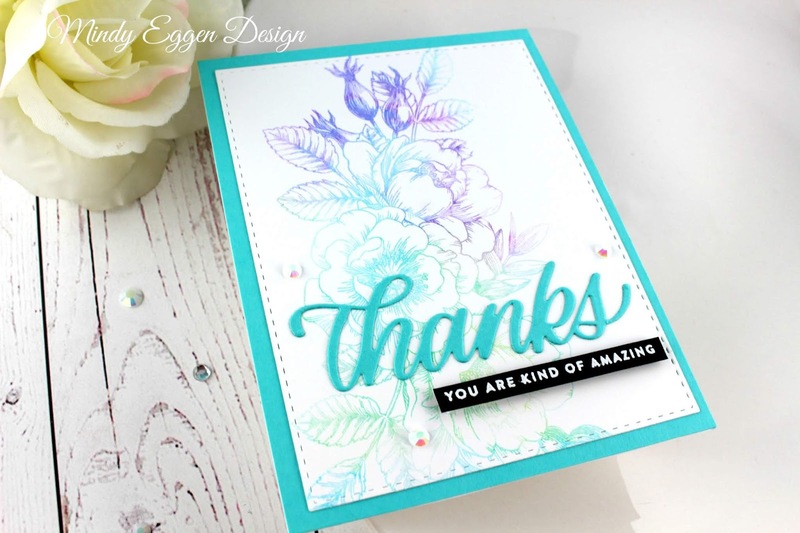 This one is using the Beautiful Flowers stamp set from Simon Says Stamp. The image on the alcohol background didn’t work out well for me but what I stamped off to the white cardstock turned out pretty good. Pictures actually don’t do it justice. It’s such a beautiful color combination and so soft. I couldn’t let it go to waste. I’m also in need of a bunch of Thank you cards right now for an event I’m going to soon so these will be perfect! I had used other backgrounds but they didn’t work out as well unfortunately. I’ll be playing and tweaking to see what works best. So far, out of what I used, the rubber stamp worked out the best for me. If anything listed below is not in stock be sure to hit the Notify Me button so you know RIGHT when it’s back in! I have a video that I encourage you to check out. It is listed down below or you can watch it HERE on my Youtube channel. Here is a board I created for you to save to Pinterest for future reference.